Spending some time in our library today, I saw framed on the wall this “word cloud” as a poster. 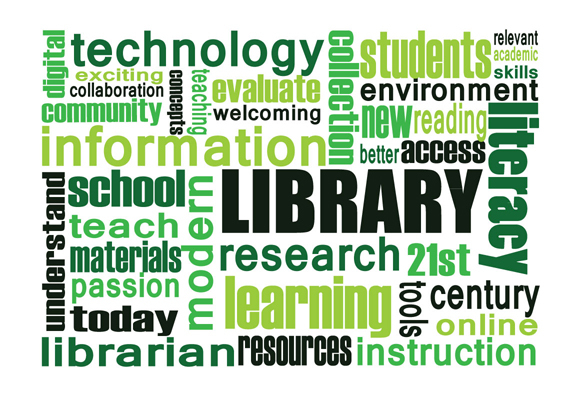 I was delighted to learn and then recognize that the word cloud is derived from the essay our new Librarian and Director of Information Literacy, Laura Lee Calverley, originally submitted as part of our application for the position. Our search process asked candidates to submit an essay defining the 21st century library. That essay can be found here.